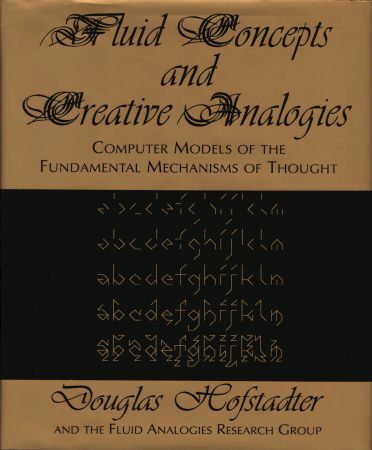 Research carried out at CRCC has been described in detail in the book Fluid Concepts and Creative Analogies: Computer Models of the Fundamental Mechanisms of Thought, written by Douglas Hofstadter and members of the Fluid Analogies Research Group. Hofstadter's first two books, Goedel, Escher, Bach and Metamagical Themas discussed a number of ideas relevant to artificial intelligence and cognitive science, such as recursivity and emergent behavior, but this new book looks back from the perspective of having grappled with those ideas in the course of implementing actual computer models. Programs that model creativity and analogy-making have been designed by Hofstadter and his graduate students, and the story of their past, present and future development is the subject of the book, co-authored by the students in the Fluid Analogies Research Group (FARG). There is an incredible wealth of information in this book. There is a 1995 review of the book at Byte Magazine's online archive which provides a little more background. The fancy font used for the capital letters in the title (FCCA) is, by the way, Magnificat.